Movie Monday is my new weekly feature here on Back to the Film. On a Monday I'll pick a movie from the ones I've watched in the last week, and highlight what I think is the film's memorable moment. 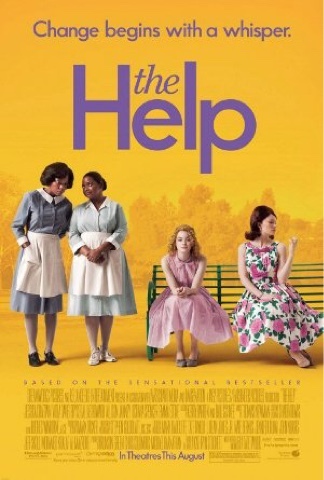 This week I've chosen The Help. This was a second viewing; the last time I watched this movie was on its release back in 2011. "Courage sometimes skips a generation. Thank you, for bringin’ it back to our family." There are a lot of powerful scenes in this movie, but one in particular stood out to me - when Skeeter's mother Charlotte Phelan gives in to social pressure and fires her long-serving maid Constantine. This scene is memorable for all the wrong reasons - it is awful to see how racism and fear can lead to an act so heartbreaking. Charlotte, despite having what appears to be a close relationship with Constantine, allows herself to be influenced by the prejudice of others. She lacks the courage to stand up against hate. In this scene she proves she is a scared woman, a product of her time, and she is unable, and unwilling, to do what's right. Her daughter Skeeter is a much braver woman - she writes down the maids' stories in the hope of creating change; to show everyone that the way these women have been treated is appalling, and can no longer be tolerated. Skeeter is without prejudice, and as Charlotte later remarks - she brings courage back to their family.